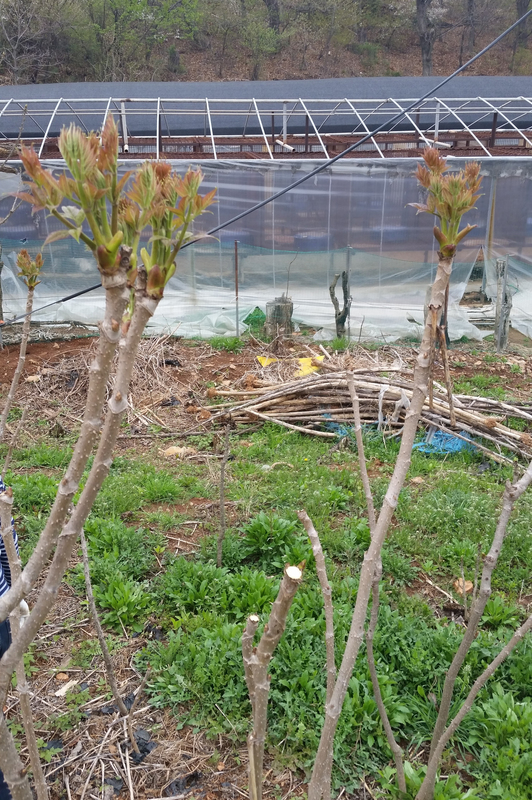 It was James’ first time in Korea, and for the first few days, we enjoyed our time on the family farm! My uncle and aunt live on an island called Ganghwa (강화도). It’s part of the Incheon greater municipality (인천시). 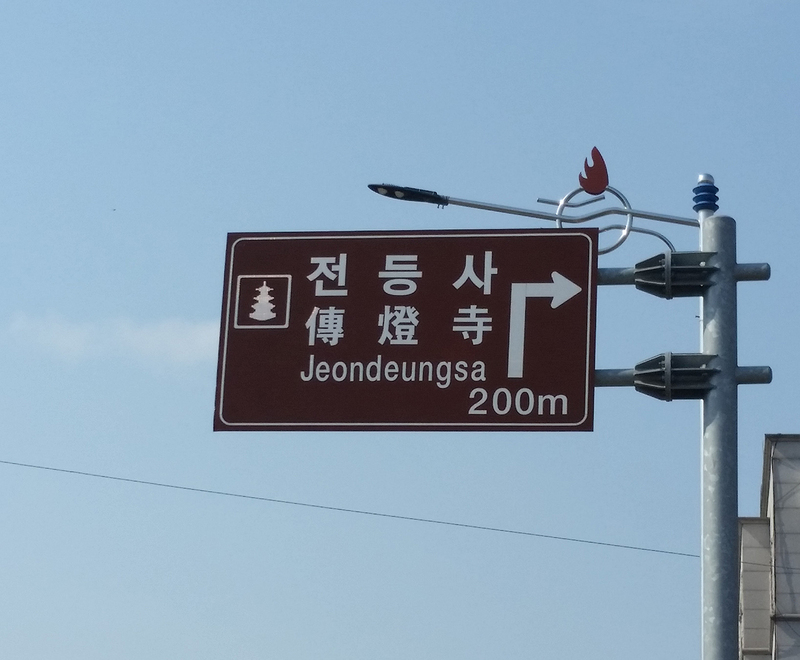 It’s pretty large, and most of the people live in the Northeastern part of the island, in Ganghwa-eup (강화읍 – Ganghwa Town). 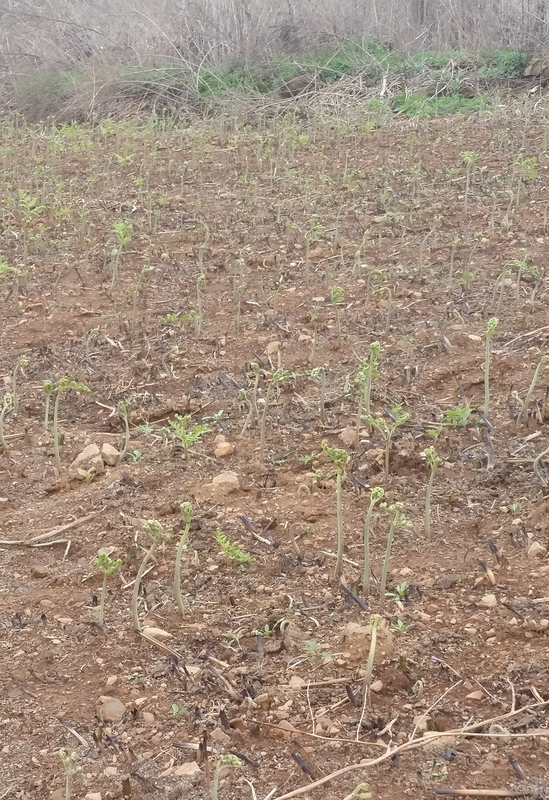 My uncle and aunt live in the Southeast, where there are mostly farms and forested areas; we were lucky to stay with them and see all of the plants they were harvesting for Spring. 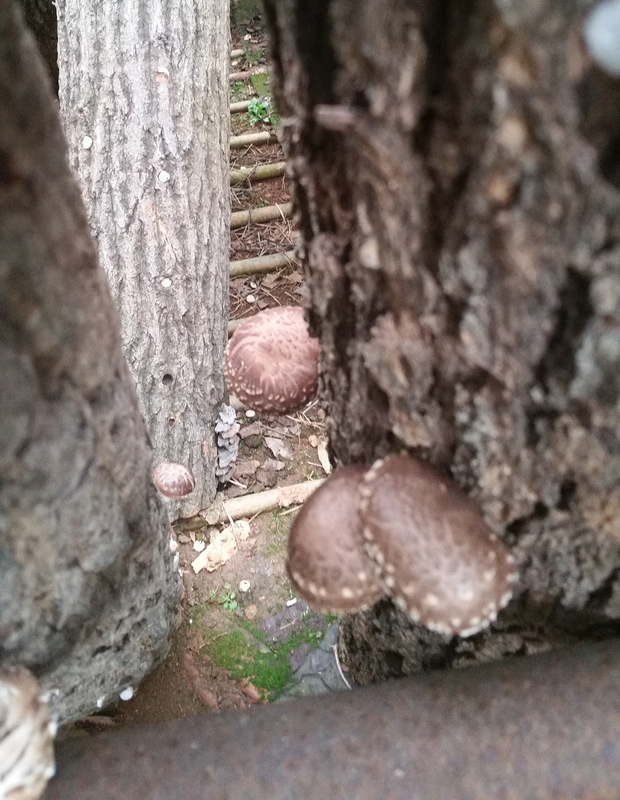 My aunt grows shiitake (표고 버섯 – pyogo buseot) by inoculating logs with mushroom spores. 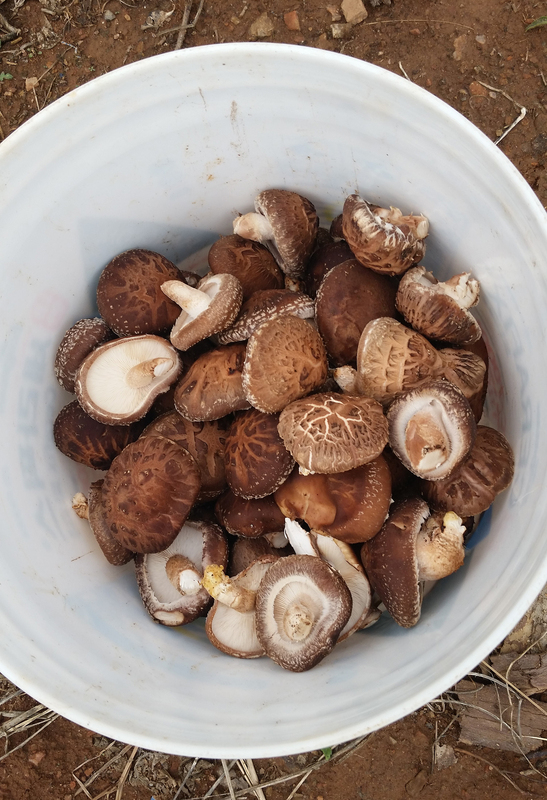 With constant care of water and shade, she has mushrooms growing in 9-12 months! Here’s what we picked that day! These will get sliced up, dried, and sold at the farmer’s market. She even has a gosari (고사리) patch! 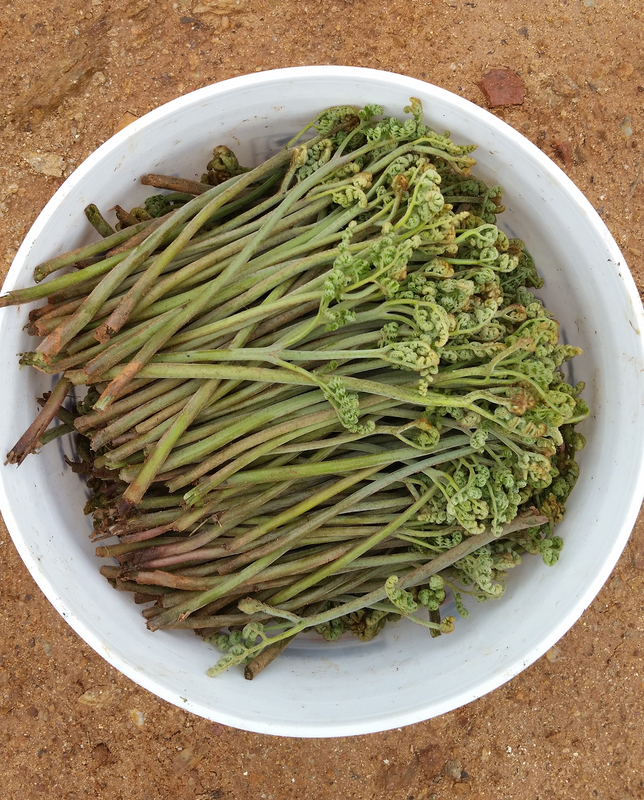 For those of you new to gosari, they’re often called braken fern. Here’s our bounty for the day. These will get washed, boiled, dried, and then packaged for selling. 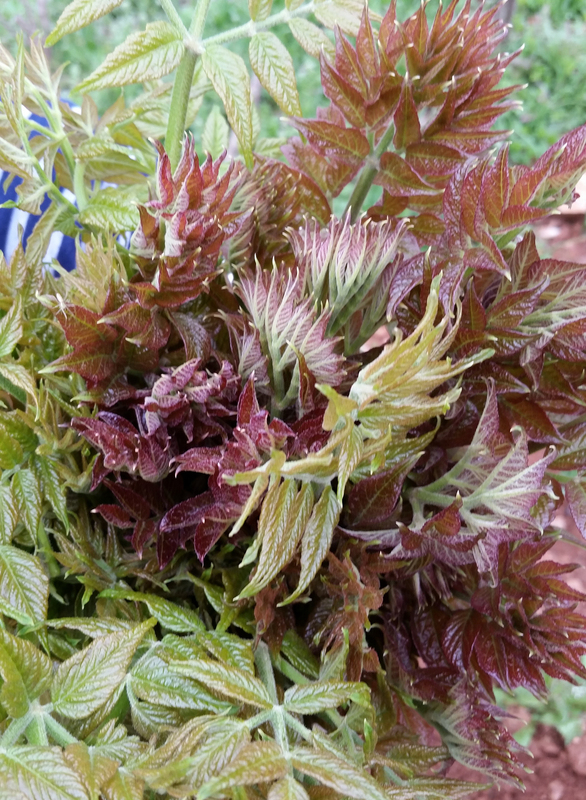 This was the first time we had seen an angelica-tree (두릅나무 – dureup namu). We didn’t know that the sprouts (두릅) were edible! 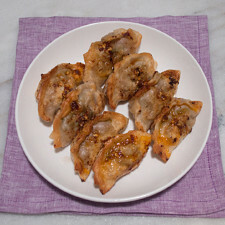 They’re often enjoyed blanched, with a gochujang-vinegar (초고추장) dipping sauce. 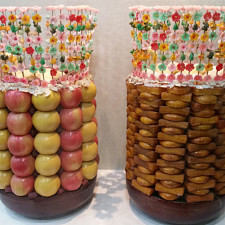 These are off to the market too! 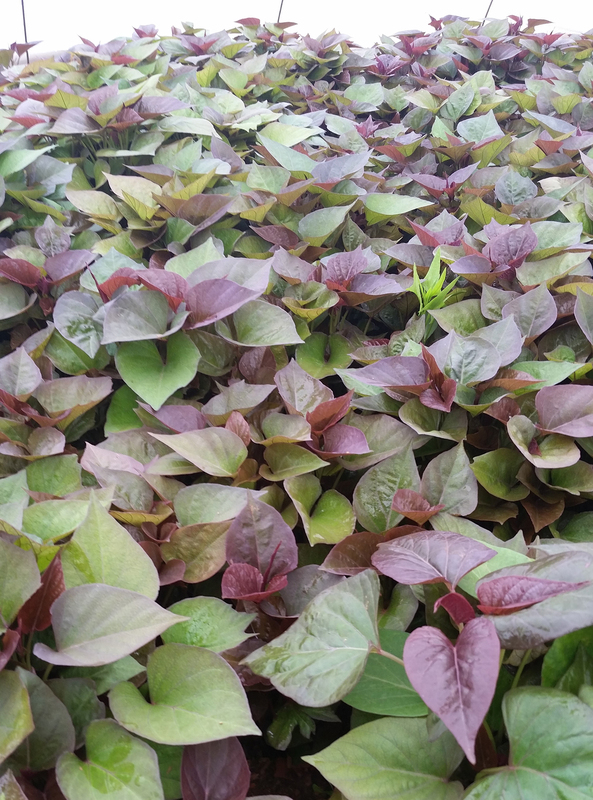 They make starters: these are sweet potato seedlings (고구마 모종 – goguma mojong). 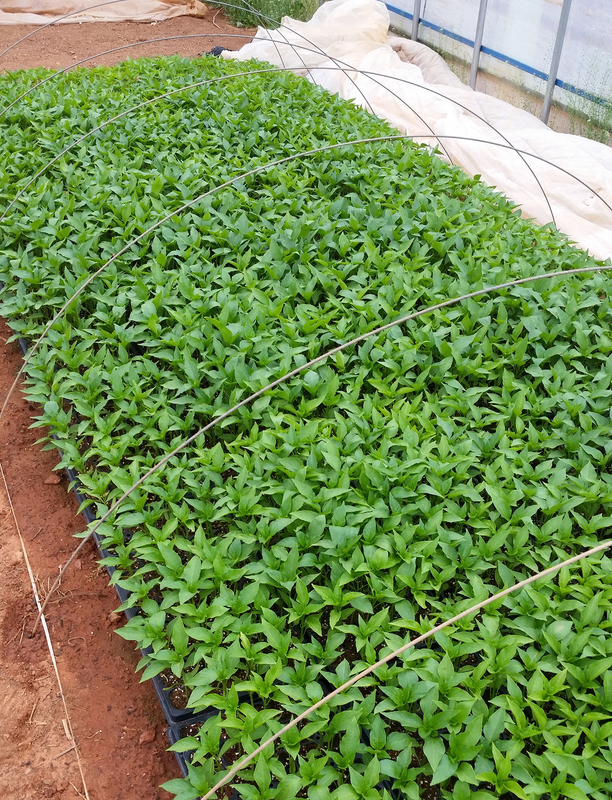 Here are the pepper plants that are going to be transplanted out into the fields soon. These will turn into peppers that will make gochugaru (고추가루 – red pepper flakes). 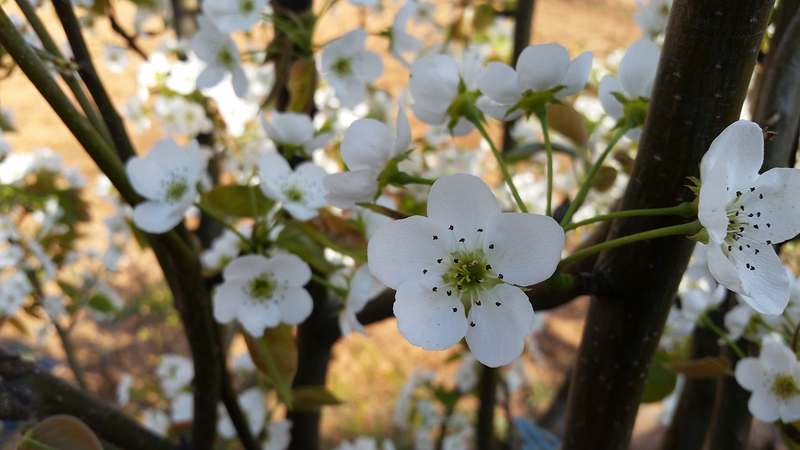 My uncle also grows a few fruit trees; here is a pear tree, but they also have cherries and plums. 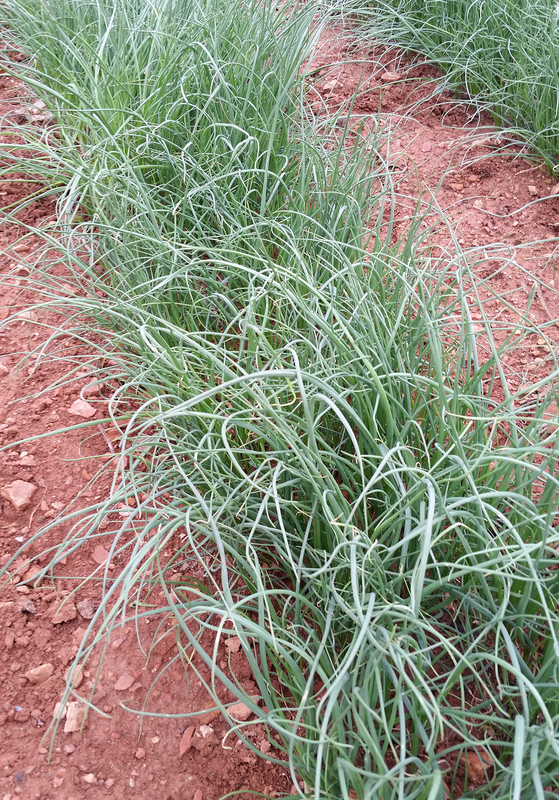 These look like scallions, but they’re actually what they call wild chives, or 달래 (dallae). They’re all in the allium family, but these are quite unique, in that they have bulbs and thin stalks. They are delicious!! The following day, we went to a Buddhist temple. It’s well-known in the area, and thankfully, it’s walking distance from the farm. 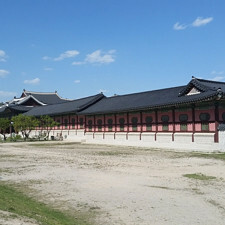 Jeondeungsa (전등사) dates back to the Goryeo Dynasty (918–1392), and the temple contains amazing structures, carvings, monuments, and a bell. 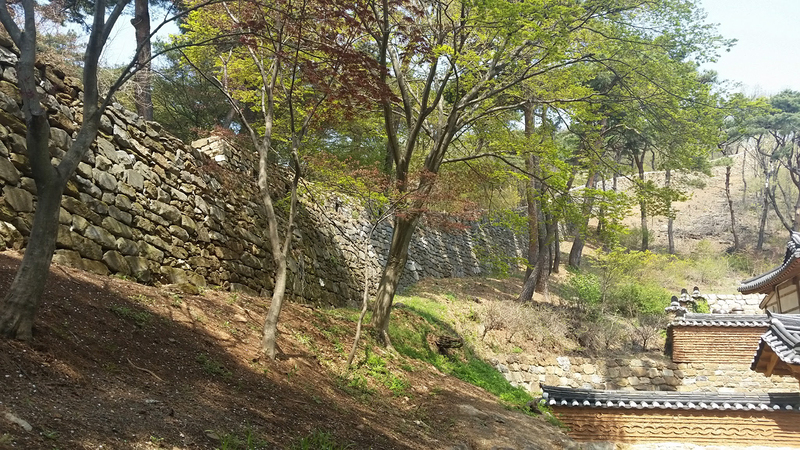 The surrounding area is guarded by a wall, called Samnangseong Fortress. The temple grounds are also home to some very old trees. 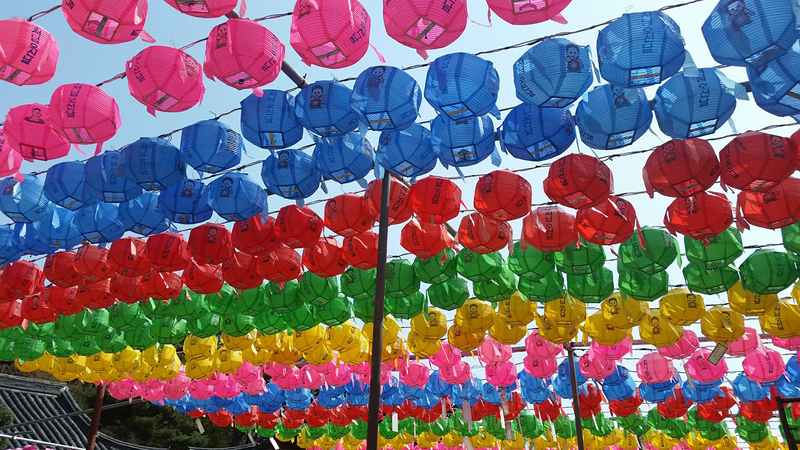 We visited around Buddha’s Birthday, so there were a lot of lanterns hung around the temple. Here is the hilly path that goes up to the temple. 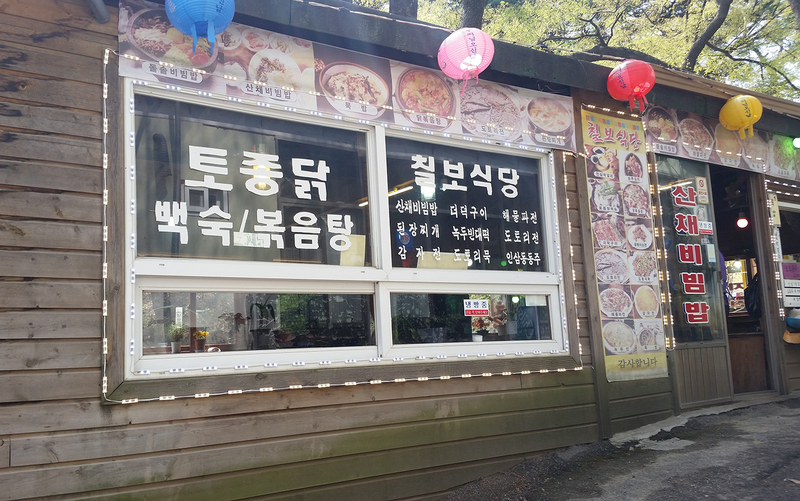 There is a row of restaurants along the path up to the temple. Here is another photo of the restaurant. 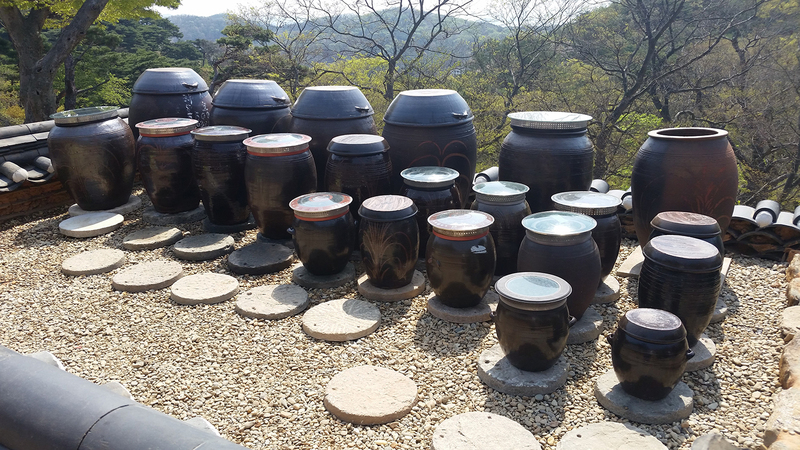 We believe these jars contain soy sauce, fermented pastes, and vegetables, most likely some of the food the monks eat at the temple. This was our lunch when we came out of the temple grounds. 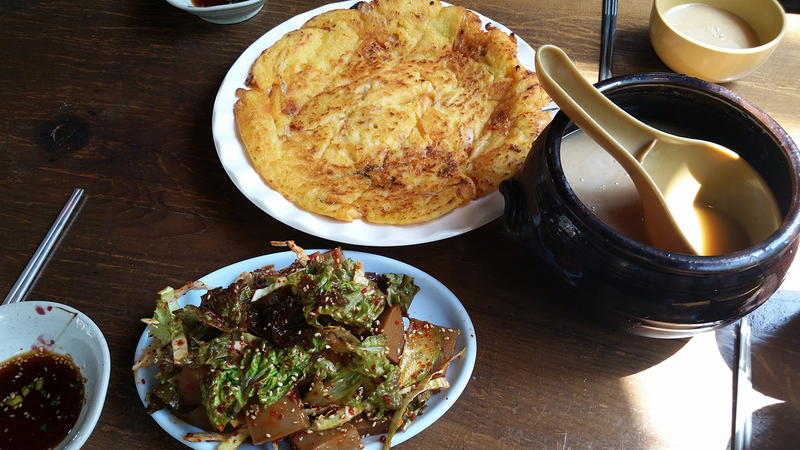 We have pictured here some dotori muk (도토리묵 – acorn jelly), gamja jeon (감자전 – potato pancake), and dong dong ju (인삼 동동주 – ginseng rice wine). 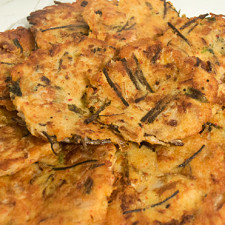 We also had a vegetable jeon, but it hadn’t arrived when I took this photo. 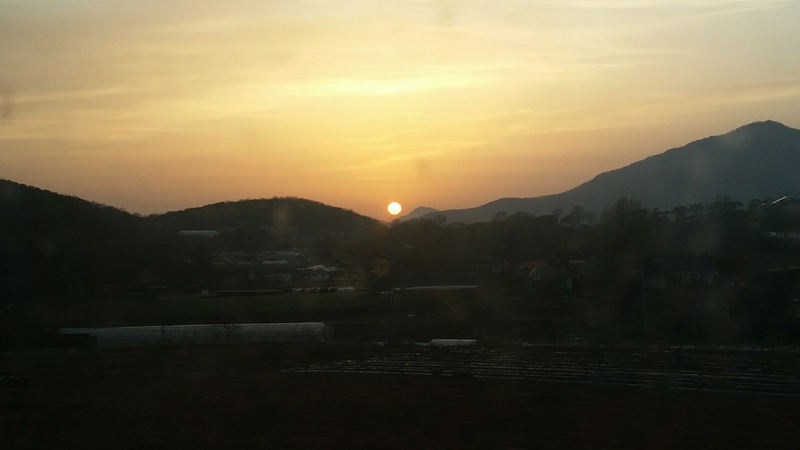 In the evening, one of my aunts took us all to go see cherry blossoms in Ganghwa-eup. She bought us mini boonguh bbang (붕어빵), which are fish-shaped, pancake-like snacks that are filled with red bean paste or custard. We enjoyed them while walking along the street. 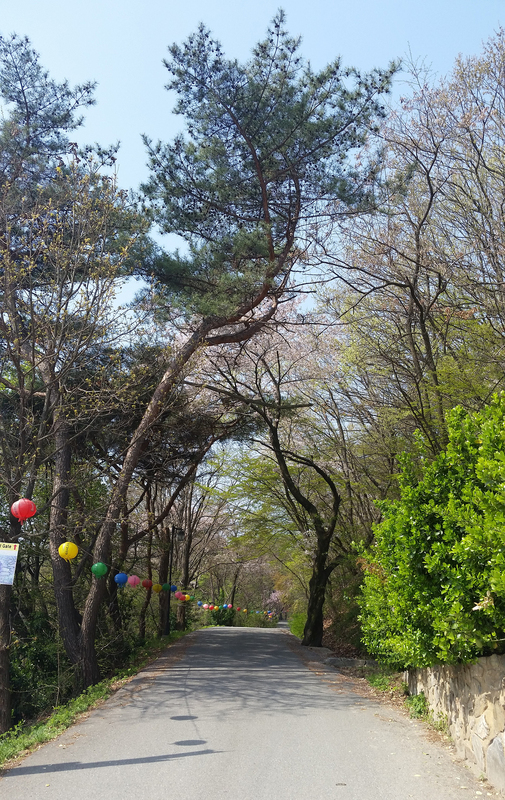 This is 강화북산벚꽃길 (Ganghwa Buksan Beotkkot Gil), which roughly translates to Ganghwa Northern Mountain Cherry Blossom Street. 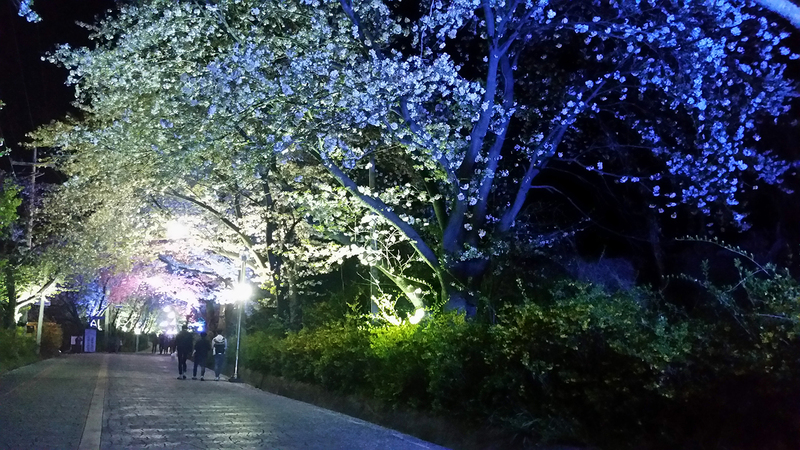 We came here at night so we could see the blossoms lit up with lights. We also got to see the main town from a great vantage point. 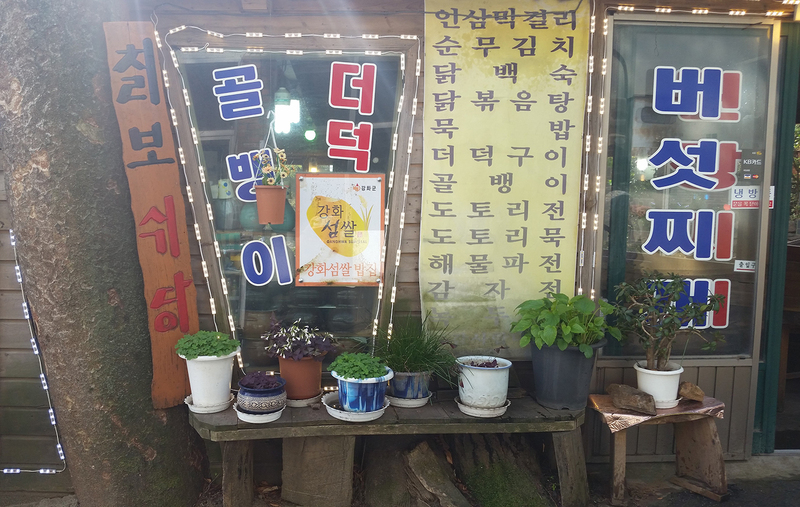 We visited the Farmer’s Market the next morning in Ganghwa-eup. We saw lots of the same vegetables that were picked on the farm, along with livestock, pets, snacks, flowers, clothes, seafood, and plenty of people. 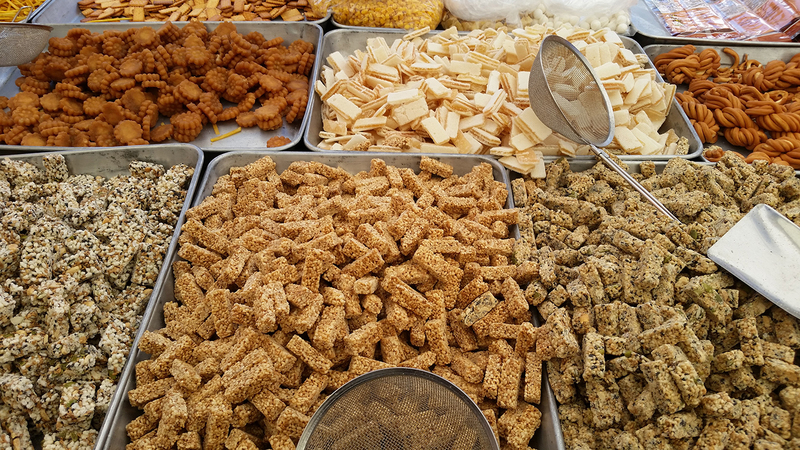 This snack stall had a few dozen kinds of nuts, crackers, cookies, candy, and old-fashioned Korean snacks! 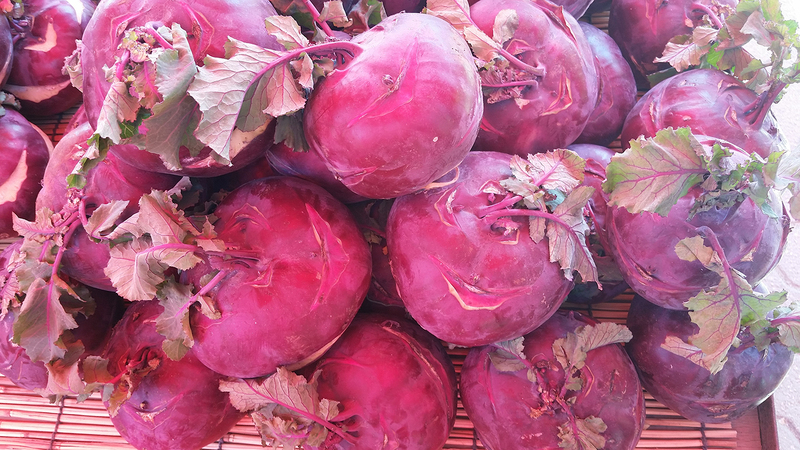 We found out later that this particular variety of kohlrabi can be found only on this island. 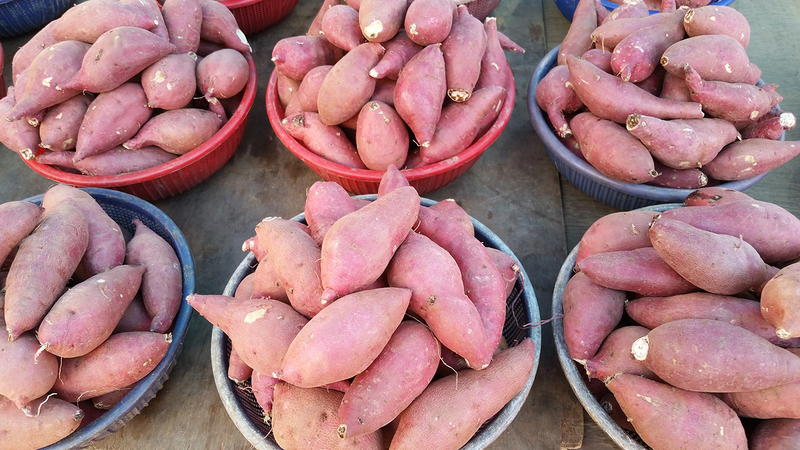 Like the kohlrabi, this variety of sweet potato grows only on Ganghwa Island. My sis took this photo of me looking out from my bedroom window. I think I was taking in the sights of the farm. My uncle built this home himself, and it’s still unfinished. 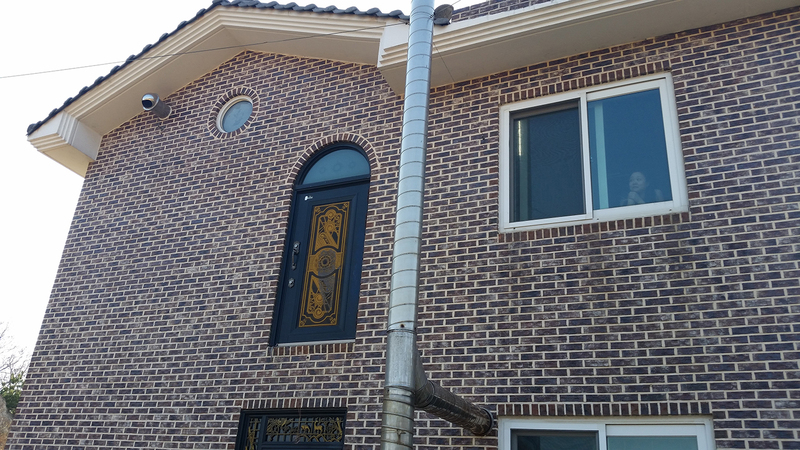 Notice the floating door? That’s supposed to lead to a terrace, which he hopes to build soon. This was the end of our food and site-seeing adventure on the Island. 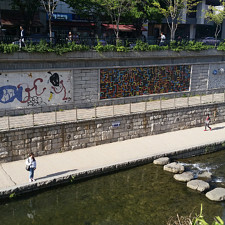 The next morning, we made our way into the city of Bucheon (부천시), where another one of my aunts lives. 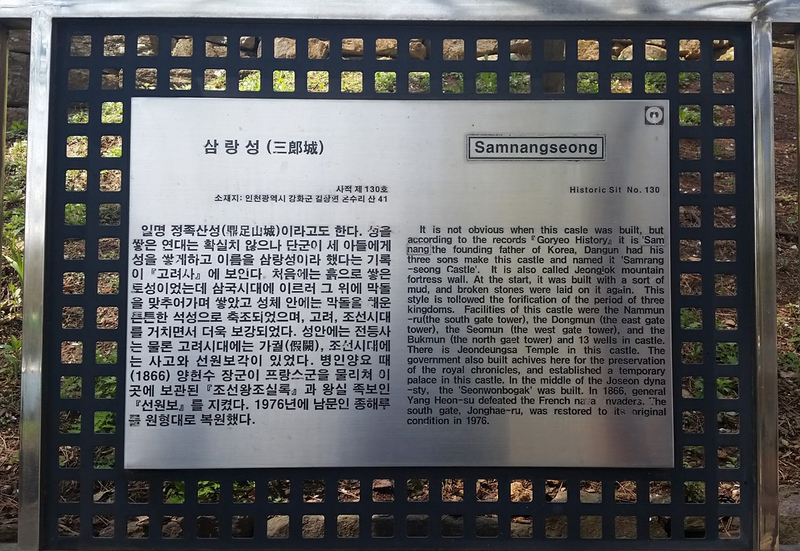 We stayed with her and traveled into Seoul every day to continue our gormandizing adventure! 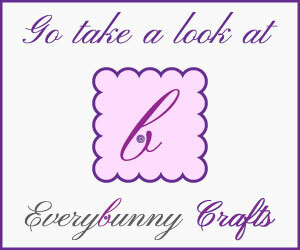 The next installment of our trip will be out soon! 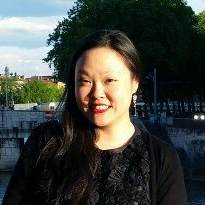 Stay tuned for street food, sweets, and Korean staples! 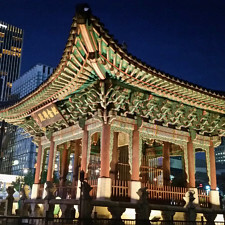 No thoughts on "Food Adventure in Korea – Our First Week."